*You can find out more about the Bursary Scheme by visiting the NHS student bursaries advice pages. Please note that points 3-5 below refer to continuing students and those applying to the February cohort of adult nursing only. 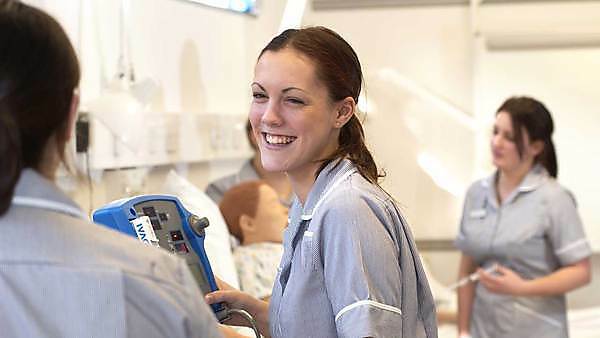 The Government has proposed that for students starting their studies in September 2017 onwards, maintenance and tuition loans will replace the current system of NHS bursary funding for health-related programmes of study. Find out more information about these NHS funding changes. 1. How much am I required to pay for tuition fees? You can find out exactly how much you'll need to pay by visiting our tuition fees pages. 2. If I study on a part-time basis how do I calculate my fees? You'll be charged only for the modules you undertake each academic year as agreed with your faculty. Each module attracts a specific number of credits and the fees are calculated for each 10 credits you undertake. Please bear in mind that the underlying per 10 credit fee tariff normally increases each academic year during your period of study. To find out the amount charged per 10 credits please visit our tuition fee pages. 3. My programme is fully funded by the NHS; do I need to do anything with regard to tuition fees? No, the NHS will have contacted the University to advise that your tuition fees are covered and an arrangement will be made between the University and the NHS for payment. You should not receive an invoice or have to make a payment for tuition. 4. I have an NHS bursary towards my tuition fee, where do I need to send a copy of the document? An emailed copy of the letter you received detailing the amount of bursary towards your tuition fee needs to be sent to sponsors.studentrecords@plymouth.ac.uk in order to ensure it is noted on your record. Please refer to the self-fee payer FAQ guide if your bursary does not cover the whole of your tuition fee as you will need to make arrangements to pay the remaining amount. 5. I have been charged for the full amount of the tuition fee and my NHS tuition fee bursary hasn’t been deducted, what do I need to do? 6. I am thinking of withdrawing/interrupting my studies, how does this affect my tuition fee? Please note: if you wish to interrupt or withdraw from your programme, you must do more than simply stop attending. You must advise your Faculty Office by submitting a withdrawal or interrupt study form. For the policy and form please view our debt advice page. Did you find what you were looking for? If you can’t find the answer to your query in the information provided here, please get in touch. We’ll be happy to help. Email us at tuitionfees@plymouth.ac.uk or call us on on +44 1752 588130.